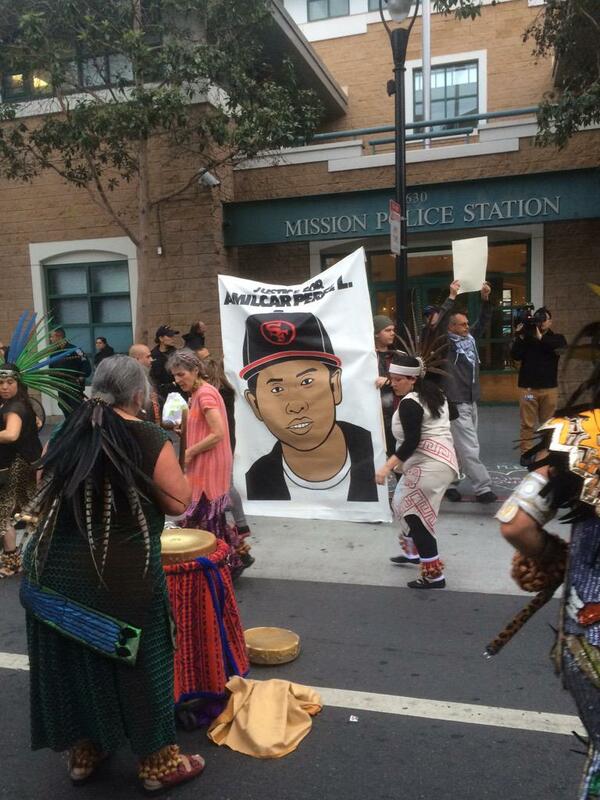 On April 24, neighbors for Justice for Amilcar held a vigil and march in honor of Amilcar Perez-Lopez, killed by SFPD on February 26, 2015. 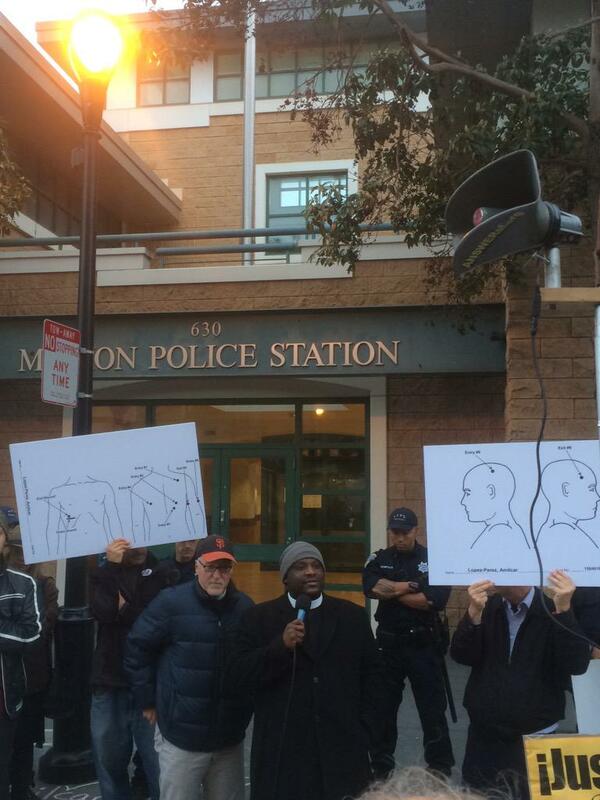 Friday evening, concerned community members organized a vigil, march, and rally calling for justice in the state-killing of Amilcar Perez-Lopez. 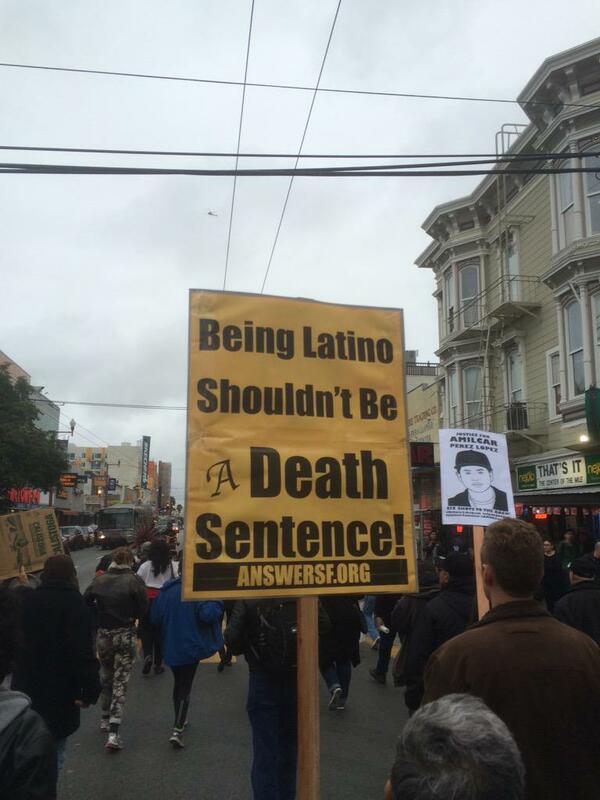 Shot six times in the back, once in the head by San Francisco Police Department, Amilcar was remembered and honored by all present as an honest, hard-working man. 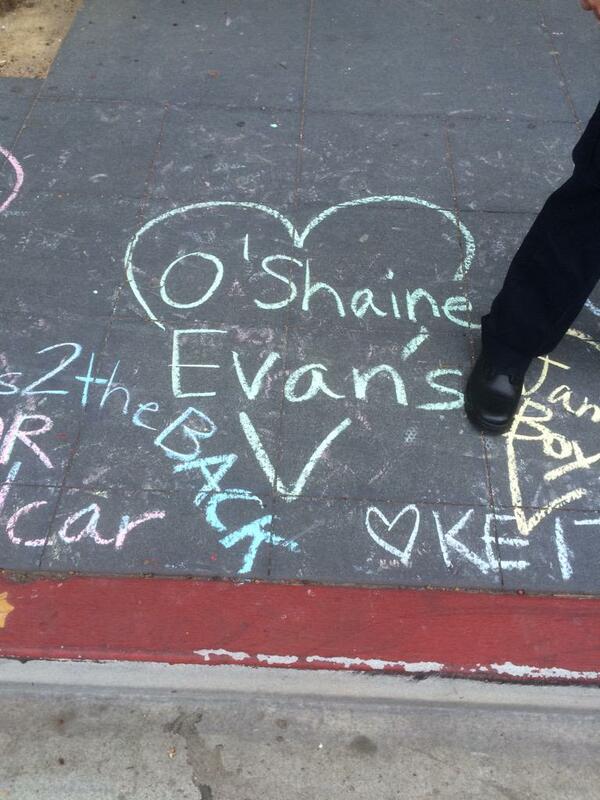 Friends, neighbors, and concerned individuals from throughout the Bay gathered at the site of the state-killing on Folsom street between 24th street and 25th street for a moving vigil. 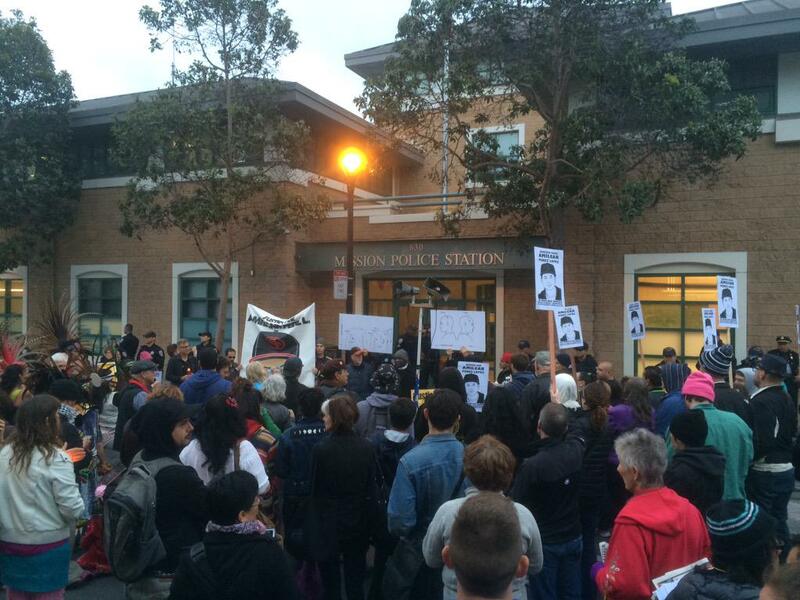 After the vigil, the nearly crowd of nearly 200 marched to the Mission Police District for a rally and die-in. 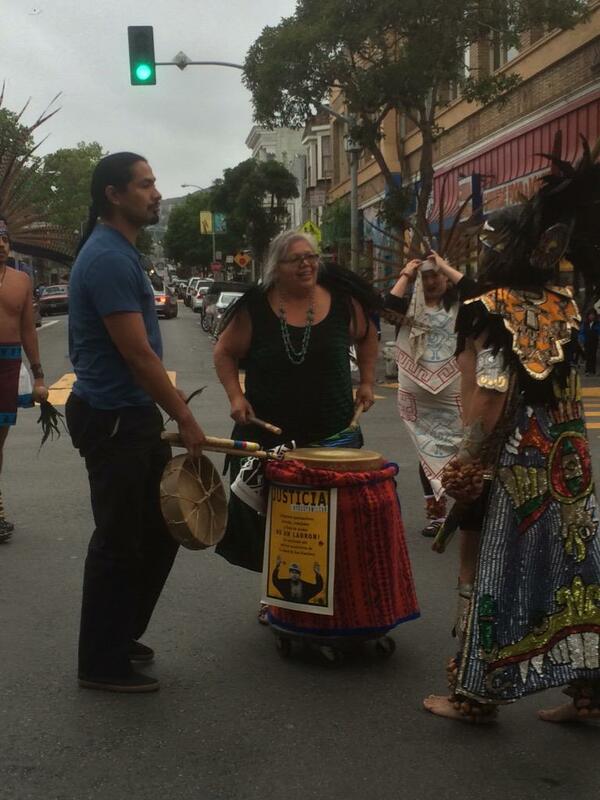 The march was led by powerful, native Aztec dancers in ceremonial costume. 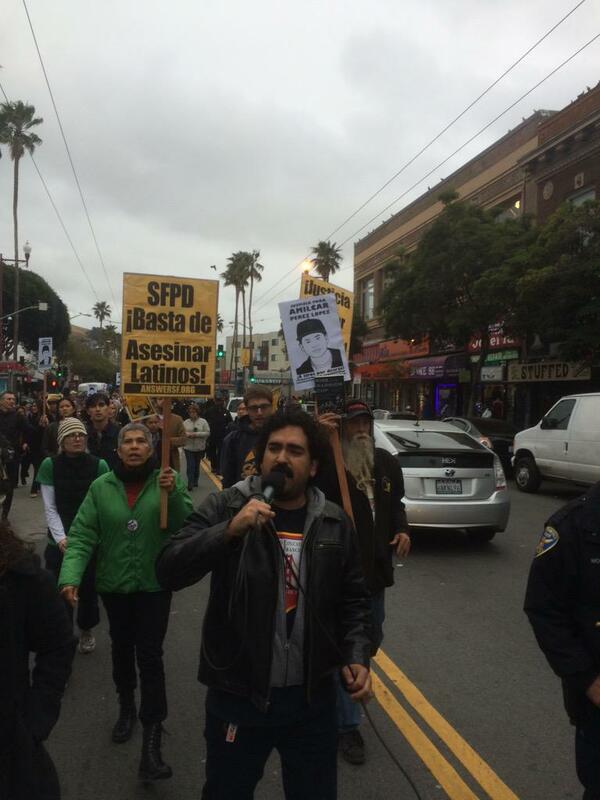 Organized by the Justice for Amilcar committee, the march included members of the Mission faith community, Supervisor Dave Campos, Homies Organizing the Mission to Empower Youth (HOMEY), and the San Francisco Organizing Project/Peninsula Interfaith Action (SFOP/PIA). 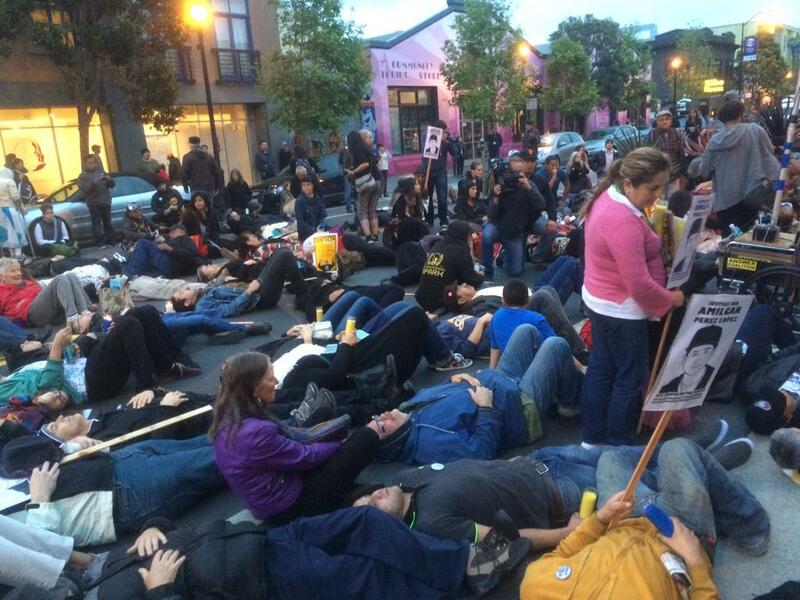 The action, held in the historic yet gentrifying Mission district, came on the heels of a press-conference in which the results of an independent autopsy were announced to the public. Conducted by the Sonoma County coroners office, the autopsy revealed disturbing conflicts in the story originally given by SFPD and Police Chief Greg Suhr. 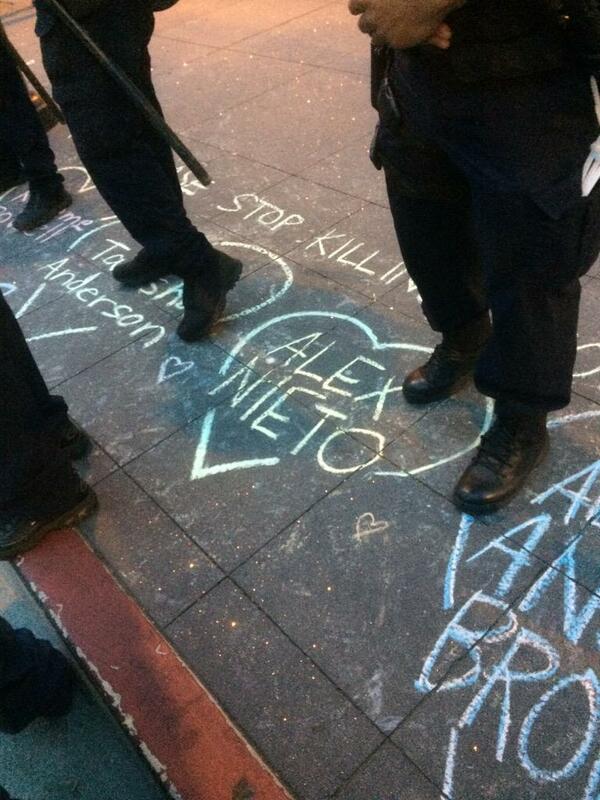 The police chief stated on March 2nd during a town-hall that Amilcar charged at the police with a knife raised. This story, though always contradicted by witnesses, was reprinted and published as fact by news outlets throughout the bay area. The press conference also announced the lawsuit filed by the parents of Amilcar against SFPD for their use of excessive, deadly force against their son. The lawsuit also charges SFPD with the failure to appropriately train, discipline, and supervise officers Tiffe and Reboldi. Amilcar Perez-Lopez is a victim of police-terror, but he is also facing eviction – a fate he shares with people of color throughout the Mission and San Francisco. Speakers at the march connected the threat of eviction with the criminalization of black and brown people in San Francisco. 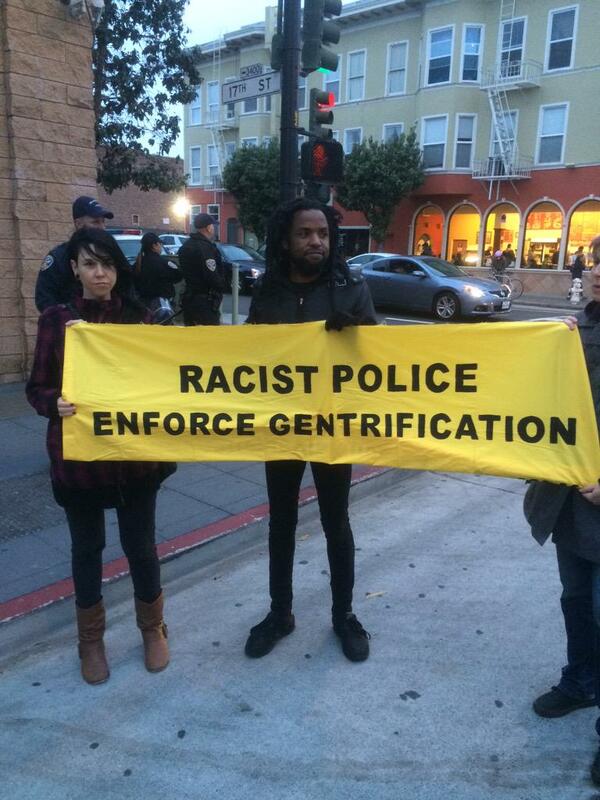 Called by many the “bookends of gentrification,” SFPD has a deep history of criminalizing the presence of people of color, effectively pushing them out of the community they call home. 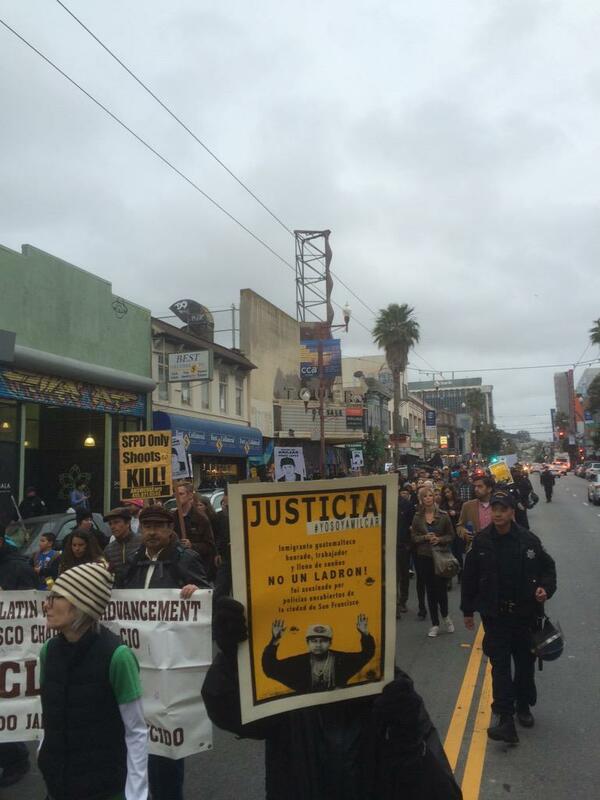 While on Mission St, the march passed the dozens of restaurants patronized by the mostly white, young people who are the tenants that replace working class folks like Amilcar.